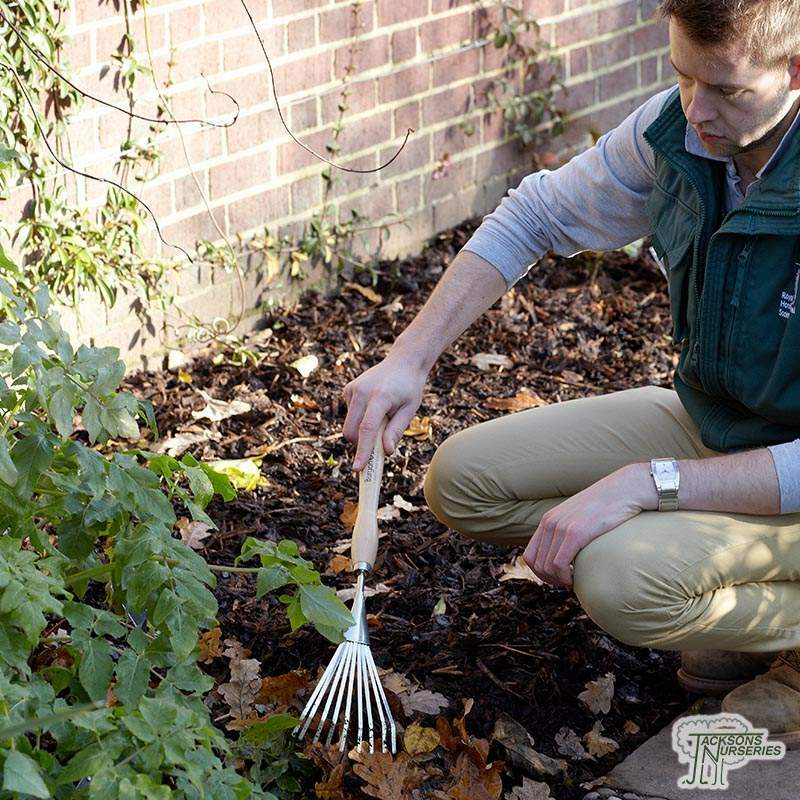 It easily removes leaves and debris from places a larger rake can't reach, so snails don't have a place to hide. 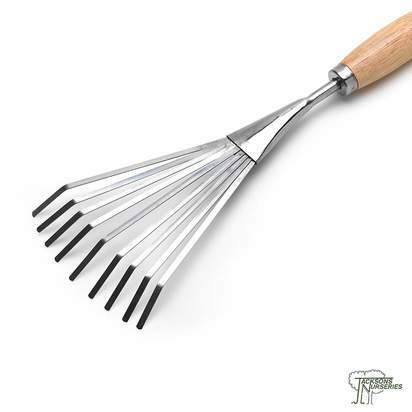 The tines are flat, so they gather, rather than stab, the leaves. 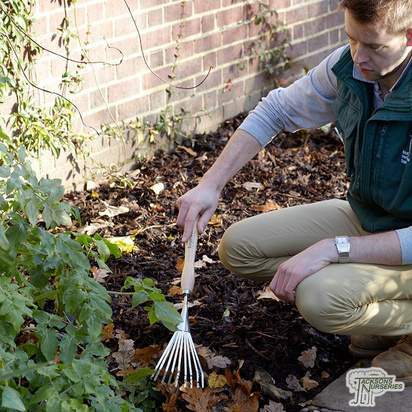 This mid handled tools offer extra reach, making it easy to garden at the back of borders, and are also extremely handy for raised beds, as they avoid working at an awkward height. 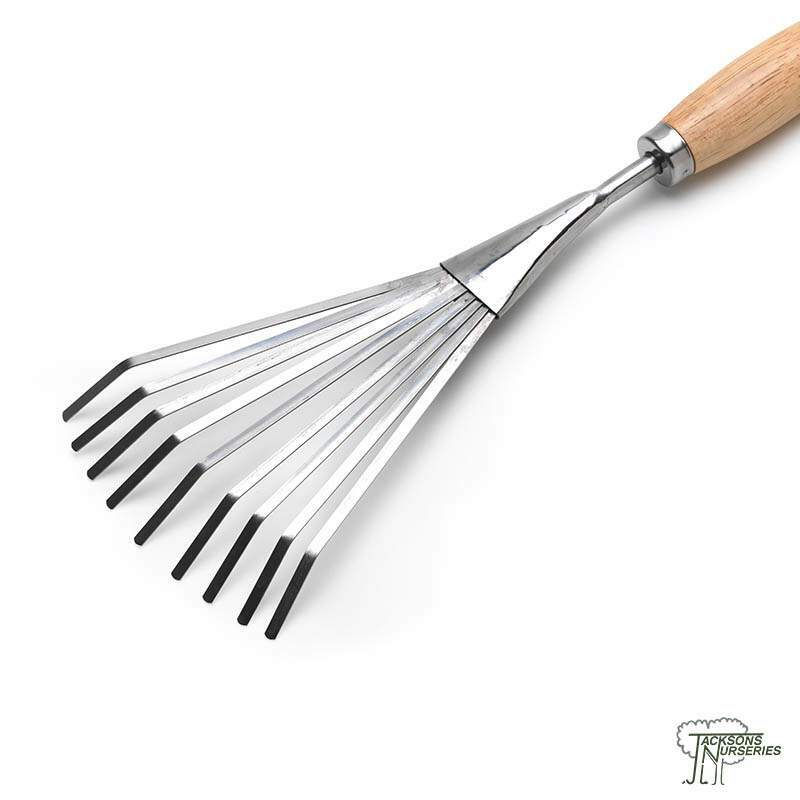 The stainless steel of the tines is highly resistant to rust and will look good for years to come, and a strong leather cord allows the fork to be hung up tidily when not in use.